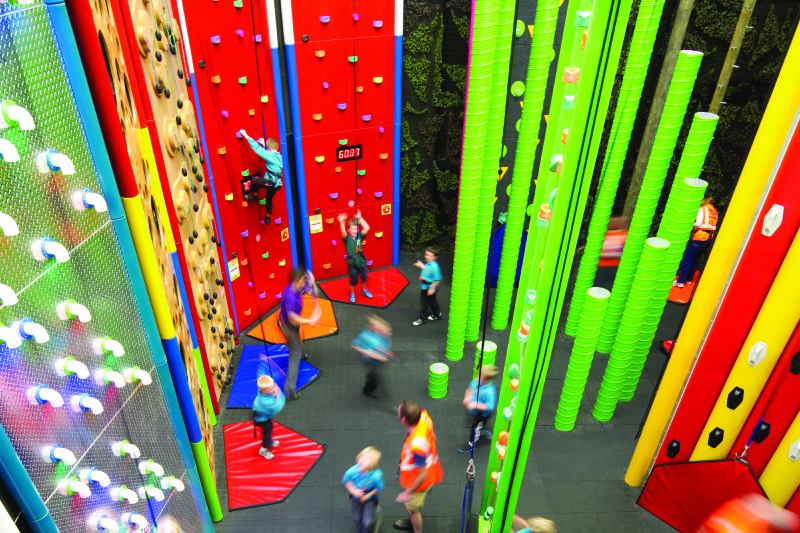 Clip ‘n Climb is climbing wall meets theme park a stunning action packed entertainment that provides oodles of healthy challenging fun for everyone. From preschool to high school kids, everyone loves the physical and mental challenges of Clip ‘n Climb which bring them back time and time again. Clip ‘n Climb transformed the world of climbing into a profitable consumer business through its appeal at all ages and ability levels. Many of the Clip ‘n Climb visitors can’t get to the top of every Challenge, so they leave wanting to improve and it is very easy to build repeat customer loyalty! The Challenges have different heights and levels ensuring there is plenty to do for every member of the family.